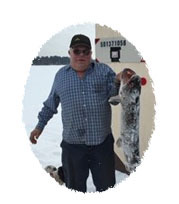 Delbert R. Brandstrom, 78 of rural Bovey, died on Tuesday, November 20, 2018 in St. Luke’s Hospital, Duluth. He was born on September 4, 1940 in Grand Rapids, MN, he was the son of Herbert and Irene (Odell) Brandstrom. He was self employed working in construction, where he loved being on the Dozer, or any kind of heavy equipment. He enjoyed tinkering in his garage, joking around and was known as the Bigfork class clown. He married Pauline Feldhaus on May 14, 1960 in Longville, Mn. He was preceded in death by his parents, his wife Pauline on November 7, 2009, and grandchildren; Eric Makinen and Bo Brandstrom, Siblings; Eleanor Brandstrom Chupurdia, Elmer Brandstrom, Wilbert Brandstrom, Armond Brandstrom, and Hubert Brandstrom. Survivors include his children; Darwin of Bovey, Darrell (Shelly) of Bigfork, Denise of Grand Rapids, Danette (Tom Kemp) of Hibbing, Duane (Jennifer) of Bovey, and Darnel of Bovey. Grandchildren and Great-grandchildren; Derek (Lindsey) and their children Claire and Cassidey, Darla (Josh) Clemens and their children Kaylee, Kody and Katelynn, Ashley Kastner and her son Colton, Dylan Bell, Stephanie Steel and her son Christian, Kalen Steel, Raymond Brandstrom, Sarah Yuenger, and best companion, Dora his faithful puppy. Funeral Service will be at 2:00 PM with a 1:00 PM visitation on Sunday, November 25, 2018 in the Peterson Funeral Chapel of Coleraine. Interment will be in the Balsam Cemetery, Balsam Township.